The excitement in Del Mar, California kicks off on Friday, November 9 and will run through Sunday, December 2. Over the course of the 16-day meet, Del Mar will come alive with the nation’s top Thoroughbred racing, signature seasonal events and a pair of free concerts. Del Mar’s Fall Racing Festival kicks off with an exciting, action-packed Opening Weekend beginning on Friday, November 9. The following day, Saturday, November 10, Del Mar will host its annual College Day presented by Red Bull. All college students can enjoy free track admission, live music from Red Bull DJs and food and drink specials with their student ID. The excitement doesn’t stop there, though. Following the final race of the day, famed reggae rock band Pepper will take the stage for a free concert, presented by Coors Light. As part of its opening weekend, the track will conduct a special Veteran’s Day program on Monday, November 12. The following weekend, November 17, Del Mar will host its first-ever Uncorked: Derby Days Wine Fest where racetrack guests can sip and savor while watching the day’s races. The wine festival will feature more than 100 wines and champagnes, gourmet food trucks, live music, fashion contest and special seating track-side. Purchase VIP and general admission experiences at UncorkedWineFestivals.com. Del Mar has a winning Thanksgiving Day planned that starts with a special turkey trot around the track – Del Mar’s Family Fun Run – at 8 a.m. Fun for the entire family, the morning also includes free face painting and crafts, and a Helen Woodward puppy race follows the one-mile fun run. 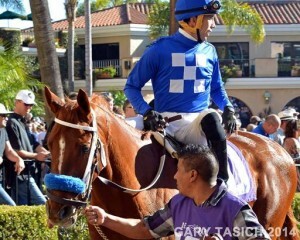 Del Mar will hold a special racing card on Thanksgiving Day, Thursday, November 22 with an early 11 a.m. post time. Race fans can enjoy an afternoon at the track while the turkey cooks – or they can leave the cooking up to Del Mar for a fun holiday tradition. Del Mar’s annual Thanksgiving Brunch includes racetrack admission, a Turf Club table and a delicious brunch menu or turkey dinner with all the traditional trimmings. The following Saturday, November 24, Del Mar’s popular Country Day returns to the track for an afternoon full of country-themed festivities and a free concert by country star Easton Corbin following the final race of the day. Country Day and Easton Corbin concert are presented by Coors Banquet. On tap the final weekend of the fall meet is Del Mar’s Craft Beer Festival on Saturday, December 1, which will offer more than 50 samples of local and international craft brews paying homage to San Diego’s thriving craft beer scene. Every Saturday throughout the fall season early morning risers can enjoy breakfast and take in amazing track views during Thoroughbreds’ morning workouts at Daybreak at Del Mar from 8 – 10 a.m. Racing analyst and horsewoman Michelle Yu will host an interactive Q&A session during the workouts to provide insight and fun facts about everything horseracing. Sundays at the racetrack are sure to bring out San Diego’s foodies. Every Sunday, Del Mar will host Free & Fun Sundays, offering free track admission and seating, along with $5 Cardiff Crack tri-tip sliders and $5 16 oz. Coors Lights. Brunch lovers can also celebrate with a decadent day at Taste of the Turf Club. Tickets include a creative menu from Herb & Wood Chef Brian Malarkey, a table in the Turf Club and bottomless mimosas, Chandon or Del Mary’s. Del Mar will be celebrating the holiday season on Sunday, November 18 with the annual Del Mar Toys for Tots Toy Drive in conjunction with the U.S. Marine Corps, when guests can receive free admission by bringing an unwrapped toy to the track. In addition, on Closing Day, December 2, Del Mar will be celebrating Food Bank Day at the Races. Guests can bring in a food item for free admission. Racing during the Fall Racing Festival will take place Thursday through Sunday with Veteran’s Day Monday, November 12. First post will be 12:30 p.m., with the exception of Thanksgiving Day when first post will be 11 a.m.Admission at all gates is $6. Both concerts are 18 and up and free with paid racetrack admission prior to the last race. Admission for concerts following the final race of the day is $30. Del Mar patrons will have 17 different ways to wager during the track’s 16-day Fall Racing Festival meet that begins on Friday, November 9 and runs through Sunday, December 2. The wagering menu starts with the traditional win, place and show bets and expands out to popular exotic wagers that encompass as many as five- and six-horse combinations. Among the track’s multiple horse/multiple race bets the Pick Four and the Pick Five – where Del Mar boasts the largest pools in all of racing during its fall stand – have proven to be highly favored with racing fans. Both are offered as a .50¢ wager and both are offered twice during all racing cards – the Pick Five on the day’s first five and its last five races, while the Pick Four goes on the day’s second event and on the last four races of the afternoon. Last fall, enhanced by a husky average field size of 8.5 horses per race, the seaside track featured the nation’s top pools for both bets — $720,000 for the Pick Four (with an average payout of $1,400) and $525,000 for the Pick Five (with an average payout of $3,300). As an added incentive, the early Pick Five is presented with a reduced 14% takeout. Last fall Del Mar’s Pick Six pools were the largest in the country at a daily average of $260,000. The average payout for the venerable bet was a healthy $65,000. Overall, Del Mar’s all-sources handle for its 2017 meet was its best of any of the four seasons held to that point. The daily average handle for the 14 days – which did not include the Breeders’ Cup numbers – was $10,766,448, tops in the country for a fall meeting. The full array of Del Mar bets is as follows: $2 win, place and show (on all races); $1 Exacta (all); $2 Quinella (all); .50¢ Trifecta (all); $2 Rolling Doubles (all but last); .50¢ Rolling Pick 3 (all but last two); $1 Superfecta (.10¢ minimum – all); $1 Place Pick All (all); $1 Super High Five (last); $2 Jackpot Pick Six (last six); .50¢ Pick 5 (first five, last five); .50¢ Pick 4 (second race, last four); $2 Win-Place-Show Parlay (all but last). Opening weekend of the track’s fifth fall session will be Friday through Monday, November 12, the celebration day for Veterans Day. For the balance of the meet all racing will be conducted on a Thursday through Sunday basis. First post daily will be 12:30 p.m. with the exception of Thanksgiving Day, November 22, when first post is 11 a.m. Weekdays will see the track running eight races, while nine races will be the standard on weekends.